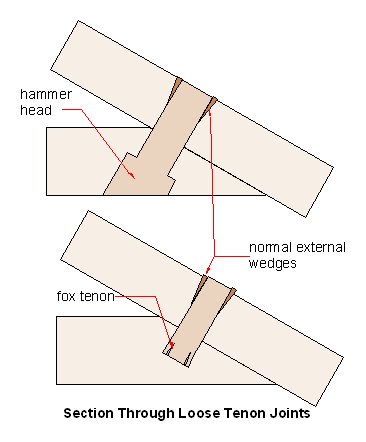 A tenon joining two mortised members. Here is a method of joining members that may be awkward to fix by other means. Just because the illustration looks maybe similar a joint in a roof truss, it is not intentional. These tenons are used in fine cabinet making and joinery.